Trophies and achievements for Lords of the Fallen are listed on this page, as well as guides to obtaining them. Spoilers ahead! Note: It is possible to get all Trophies/Achievements on 1 character if you play through NG+ and NG++ to completion. 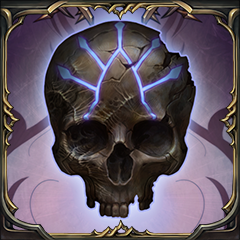 If you choose to do so, it is strongly recommended that you acquire the Faith is Weakness Trophy/Achievement on your first playthrough as it becomes increasingly difficult to obtain on NG+ and NG++. To popup this achiviment, I need to finish the game on a new slot or could it be done on NG+? ?I&apos;ve just finished the game on NG+ putting the Rune of Adyr on my weapon and didnt shows the achivement ://Just the The Way of a Clerig (cause i&apos;ve finished with another class the NG+)I Don&apos;t believe that i&apos;ve played all game a second time and didnt pickup the second ending :/Right now i&apos;m starting the 3rd time, I will put the stone on me armor.